Welborne is the largest proposed new mixed-use development in Hampshire, creating a new, sustainable community over the next 20+ years. It is the most advanced of the 14 ‘Garden Villages’ allocated by Government in January 2017. The large mixed use development covers approximately 1,000 acres of land north of Fareham, Hampshire, located between Southampton and Portsmouth and includes up to 6,000 new homes, a secondary school, three primary schools, retail and leisure facilities and over 100,000 square metres of commercial and warehouse space all offering potential for over 5,700 jobs. 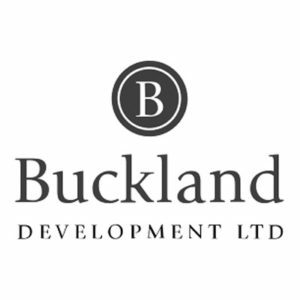 We have worked with Buckland Development over a number of years supporting their long-term vision of placemaking by providing communications and consultation support, managing large scale public consultation events, facilitating targeted stakeholder meetings and creating a Community Liaison Group. Given the complex nature of the project and high levels of media interest, we have also undertaken a significant amount of press activity, liaising closely with local journalists, as well as managing and responding to enquiries from local papers and trade publications. We also host and manage the Buckland website, as well as its social media channels. While the project will still be running for many years (and the outline planning application has yet to be determined), our work to date has helped to ensure that the local community and key stakeholders have access to accurate information and understand Buckland’s vision and aspirations for Welborne. We have helped facilitate productive relationships, particularly with representatives of local community groups, who have developed a better understanding of Buckland’s commitment to creating a new Garden Village with a lasting legacy.